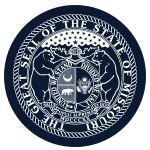 Mission: The Missouri Coordinating Board for Higher Educations mission is to foster a thriving system of quality higher education. At the direction of the Coordinating Board of Higher Education, the role of the Department of Higher Education is to formulate, implement, evaluate, and effectively coordinate the boards policies, priorities and initiatives through innovative planning, integrative administration, and funding for results, in consultation with the leadership and representatives of the state system of higher education. Function: The Coordinating Board for Higher Education employs a commissioner to serve as its chief executive officer and carry out its goals and administrative responsibilities for coordinating the state system of higher education which includes 13 public four-year colleges and universities, 17 public two-year community colleges, 1 public two-year technical college, 25 independent colleges and universities, 120 proprietary schools and 39 specialized independent schools and colleges and theological institutions. Political Requirements: Yes, not more than 5 members may be members of the same political party. Geographic Requirements: Yes, members must represent each congressional district.